I am back in Barcelona after spending a week in Asia, extremely encouraged by what I observed in that continent: work-family balance and, consequently, the advancement of women in leadership positions, is gaining importance at the political and corporate level. I had the opportunity to visit two large Japanese companies in Tokyo and meet the people responsible for their Diversity and Inclusion program. 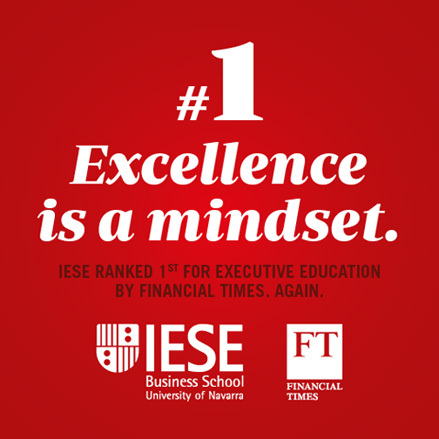 The first was LIXIL, whose senior managers are participating in one of our global programs at IESE; the second company was Nissan. Both organizations have a wide range of policies: flexible work schedules, mentors for women, long maternity leave, etc. but the lingering challenge is to achieve greater adoption of those policies in the different departments. Also in Tokyo, I taught a session for our Alumni titled: “Corporate family responsibility: the way for more female leadership and sustainable growth” at Academyhills in Roppongi Hills. 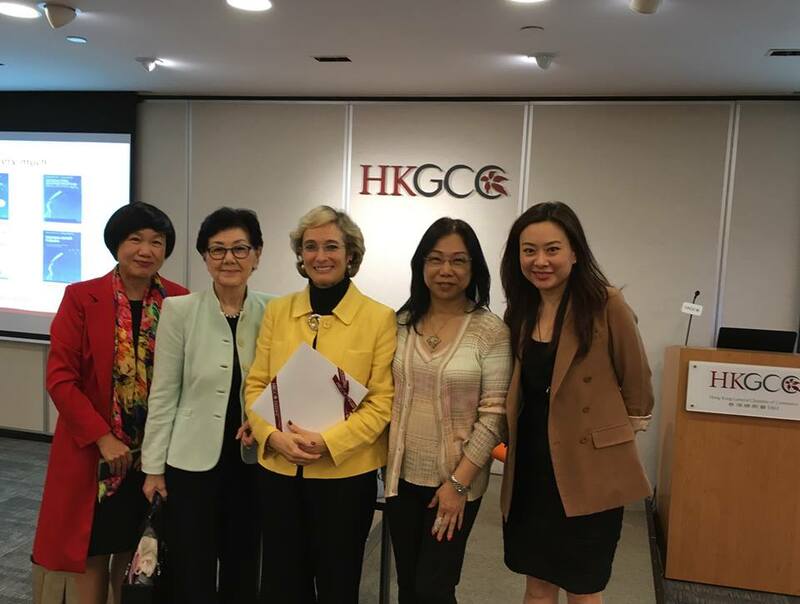 On December 1, I led a session about how to empower women, at the Hong Kong Chamber of Commerce, organized by the Women Executives Club. The next day I was a speaker and part of the panel for Diversity & Inclusion, which we offered to executives at HSBC Bank. We were joined for both sessions by my colleague and friend Prof. Paddy Miller, who has relocated there. On Wednesday we had a great event with our Alumni in the region. 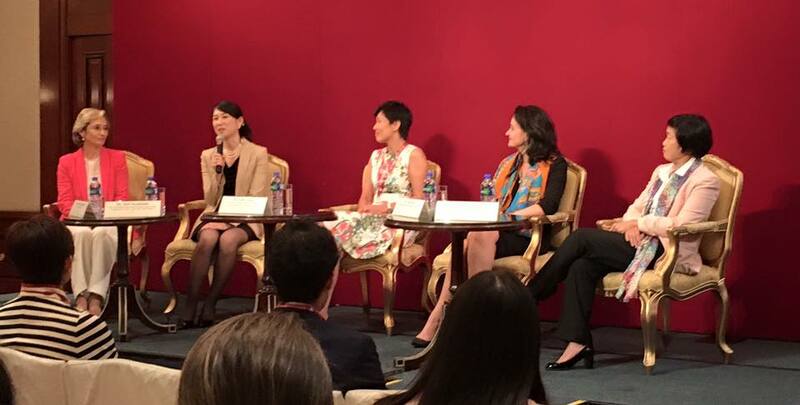 We hosted the session “Breaking the Glass Ceiling,” followed by a panel with four women leaders. All at different stages of their careers, these ladies showed us how they managed to break all the ceilings and achieve balanced, enduring success. The panelists included: Ms. Inma Diaz, Managing Director at Morgan Stanley; Ms. Cindy Cheng, General Manager of International SOS for Hong Kong and Macau region; Prof. Emily Nason, Associate Dean and Director of Undergraduate Programs and Associate Professor of Business Education in Management at HKUST Business School; and Ms. Mari Kuchinishi, BNP Paribas Hong Kong, Head of Oversight of Operational Risk & Permanent Control, Japan, APAC. And a husband who is supportive, or at least gives them room to maneuver. Breaking the ice with the first question was Rubén Mondejar, an Alumni who has been a professor there for many years. His question was about how to help young people to take their future seriously. That opened the door to highlighting the importance of knowledge, priorities and personal preferences as a result of discovering every individual’s unique personal mission, and the importance of knowing how to say no. As you know, many of these keys are found in the book we wrote with Maruja Moragas “Masters of Our Destiny” (which has been published in six languages and as an ebook in Russian, Spanish and English). People’s professional, family and personal paths seem to go at different speeds depending on the various stages of their life, circumstances and commitments. And women, much more often than men, suffer in their professional and personal lives due to the lack of flexibility at work. Each event addressed the issue of the glass ceiling: how women compete with men at all levels of the organization, but for a variety of reasons face challenges in breaking through that glass ceiling. We have also introduced the concept of the “concrete ceiling“— which women impose on themselves in response to emerging personal preferences, or finding themselves in rigid structures that do not allow for a balance, or their own low self-esteem or perfectionism. Women typically ask for more than a good job and a glamorous title. For the sake of their families and their personal lives, women are questioning and challenging the predominant system of values and promoting a balance between work and family life. 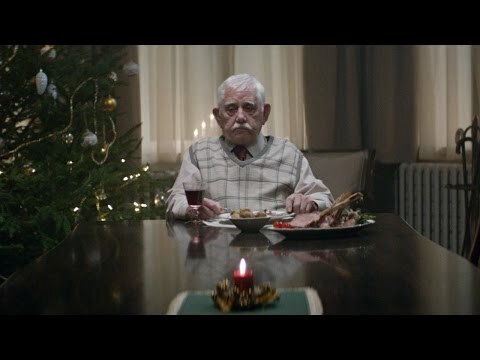 In both cities, I was impressed by the kindness of the people, the order and respectfulness in every situation… not to mention the incredible holiday atmosphere with massive Christmas trees, full of dazzling lights and colors, shopping malls with thousands of Christmas ornaments, angels and carols everywhere. PODCAST | Has Hillary Clinton Broken the Glass Ceiling by Herself? Why does depression bear a woman’s name?